Alan began studying the Level 6 Business and Administrative Management course with Online Business School in February 2017. He is now looking to enrol on the Level 7 Extended Diploma in Strategic Management (Advance MBA Entry programme). Why did you choose to study with Online Business School? I have a hectic life with a busy schedule plus taking care of my 3-year-old son. The reason I chose OBS was for the freedom of studying at my own pace. The flexibility of the course has allowed me to juggle a busy work and personal life with learning. How would you describe your experience of studying with Online Business School? I struggled initially with my assignments but my overall journey with OBS has been very pleasant. 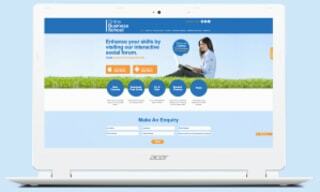 What did you like the most about the course with Online Business School? The layout of the subjects on the dashboard is clear and very user-friendly, you can easily keep track of your progression. The materials were very useful and with great intensity and examples which also helped me with my assignments. Before you start studying, read through all the handouts and information given by OBS, so you can fully understand how the online platform works. It would also be useful to divide the time frame between assessments and assignments, taking into consideration when you are aiming to complete your course. I am interested in enrolling on the Level 7 Extended Diploma in Strategic Management. But before that, I deserve to take a short break. As we all know, being a student can be expensive. Make sure every penny stretches by maxing out your student discounts! Check out our guide to the best student discounts this February. ASOS – Students receive 10% off products across ASOS with a valid NUS card. 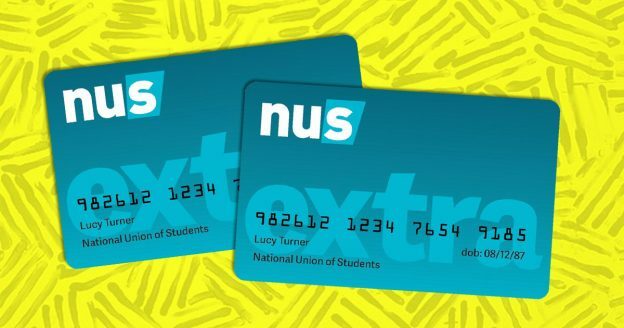 To redeem your discount, simply enter your NUS extra number at the checkout. Domino’s – Get 35% online student discount at Domino’s Pizza when you spend £25. Frankie & Benny’s – Students are entitled to 20% off their total food bill when 2 main courses are purchased from the Main Menu at any Frankie & Benny’s. 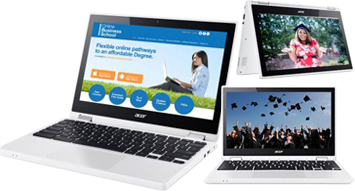 HP – Save up to 30% student discount on HP with your NUS card. Las Iguanas – Las Iguanas’ student deal just got better! 50% off food, 25% off drinks AND 2 for 1 Happy Hour Cocktails. Valid Sunday to Thursday until 28th February 2018. Prezzo – Your NUS extra Card entitles you to a 25% discount off total food bill at Prezzo. Valid Sunday – Thursday. Ryman – As a student you can enjoy a 10% student discount in store and online, as well as 10% off photocopying, printing and services available in store. Uber – 50% student discount off your first ride with Uber – up to the value of £10. 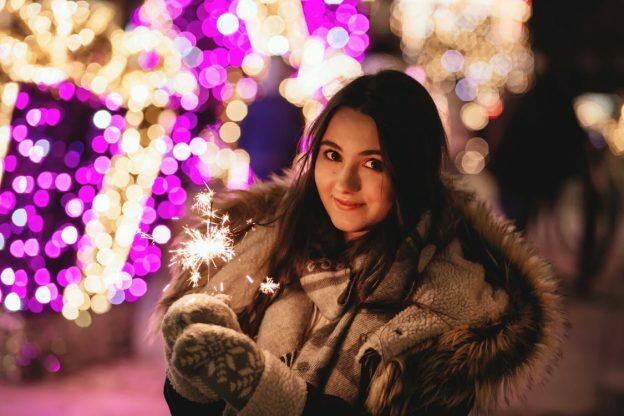 Virgin Experience Days – 25% student discount on full price experiences including flying lessons, balloon flights, football stadium tours, afternoon tea treats, spa days and much, much more. Offer ends 28th February 2018. Vision Express – Save 20% off the cost of your glasses or contact lenses upon presentation of your NUS extra card and Vision Express voucher. Download your voucher from their website. To find out more about registering for an NUS card with Online Business School, click here. 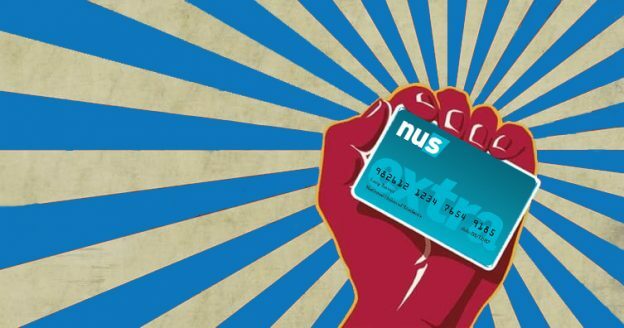 Don’t forget that the NUS card comes with a free ISIC card so if you’re an international student, you can still benefit from thousands of discounts. We all know money can be tight when you’re a student, but keeping an eye on your spending doesn’t mean you have to compromise the occasional treat. So, to help you, we have compiled a list of the best student discounts this January. Ask Italian – Your student discount card will get you 40% off the total bill all day Monday and Tuesday, and 25% off the bill every Sunday, Wednesday and Thursday. Big Yellow Box – Receive 50% off your storage fees for up to 8 weeks with your student discount card. Boots Opticians – Save 25% on your first pair of glasses or prescription sunglasses, with every additional pair of glasses or prescription sunglasses half price. Krispy Kreme – Use your student discount card to enjoy 20% off. Now TV – You can receive a free 15-day trial of the Sky Cinema Pass and a £15 Topman/Topshop voucher when you renew. Peacocks – Use your student discount card at the checkout to enjoy 20% off your order. Pizza Hut – Pizza Hut are giving away vouchers that entitle you to 41% off food at their restaurants. Valid Sunday – Thursday until 25th January 2018. Slackers Club – Get free cinema tickets every month when you join Slackers Club. To book your tickets just go to the box office with your student discount ID. TUi – Use your student discount card to enjoy £20 off per person on Skytours holidays at TUI. Stay/travel period is 01/05/2018 – 31/08/2018. Zizzi – Get 40% off all food Sunday – Thursday with your NUS card. The student discount is valid for your entire party and the discount will be applied to all qualifying food items on your total bill. It’s a fresh year and a fresh start – a new year gives us all the opportunity to make changes in our lives. Here are 5 New Year’s Resolutions that will make you happier in 2018. Many of us can no longer focus on a simple task without reaching for our phones. Set aside 30 minutes a day for technology breaks and unplug from all your devices – computer, iPad, laptop, phone etc. Temporarily disengaging from emails, social media, and the internet is a wonderful way to recharge. A Wisconsin study showed lower levels of tension and depression among women who took holidays more frequently (once or twice a year) versus those who vacationed less often. In fact, it turns out that even simply anticipating a holiday can boost happiness for weeks, according to a Dutch study. Walking 10,000 steps a day (or about 5 miles) is a low-impact way to improve your health. Download a free app to help you keep track of your daily steps. A study from the University of East Anglia found that those who switched from driving to walking or cycling to work benefited from improved well-being. People who sleep for eight to nine hours a night tend to wake up happier. Get on a regular sleep schedule and your body will adjust, increasing the chances you’ll rest longer. Go to bed and wake up around the same time each day. Learning is a core need for our psychological well-being; it can help us build confidence and a sense of self-efficacy. That doesn’t mean we have to go back to school. You could take up a new hobby, learn a new language, or learn how to play an instrument. If a higher education or a degree has been your New Year’s resolution, you can still achieve it with online studies. December is an expensive month. Mainly because there’s this thing called Christmas that everyone seems to be talking about. So, to help you, we have compiled a list of the best student discounts for December. 16-25 Railcard – Get £5 off a 1 year 16-25 Railcard using the code STS12 at checkout. It saves you 1/3 on rail travel, so if you’re spending more than £75 on train tickets each year then it’s well worth purchasing a Railcard at this price. Ends 22/12/17. Amazon Prime Student– Sign up to Amazon Student for free for 6 months and you’ll free next day deliveries, all prime movies and TV shows, exclusive student discounts, and then half price Amazon Prime if you choose to carry on your subscription at £39 per year. Iceland – Students can get £4 off a spend of £40 or more online at Iceland. Delivery is free on orders over £35. KFC – Add your student ID to the app and you can grab a free Krushems or Mini Fillet Burger each time you make a purchase. London Attractions – Use your student discount to purchase 2 London attractions for £30. This includes the London Dungeons, the London Eye, Madame Tussauds and the Sea Life Centre. Papa Johns – Students receive 50% off when you spend £15 online. Prezzo – Your NUS card entitles you to a 25% discount off total food bill at Prezzo. Offer valid Sunday to Thursday. Sign up for the newsletter and you’ll get a free bottle of prosecco for your birthday. River Island – Get £10 off when you spend £60 or more, £15 off when you spend £80 or more, or £20 off when you spend £100 or more. Offer available online only, ends 17/12/17. Superdrug – Receive a 10% student discount with a Health & Beauty card and a NUS extra Card. Only valid in store. YNAB – Students are able to get a free year’s trial of YNAB (You Need A Budget), the internet’s favourite budgeting software. The software teaches you how to be in total control of your money and gives you the tools you need to reduce your dependency on debt. This entry was posted in Student Discount on December 15, 2017 by Matthew.